Navigating is fairly simple, first, we have our top Navigations Bar on the site. If you highlight over certain sections such as "Forums", you would get a drop down list of options. You will find several of our site features by using this navigation method, continue to explore all the options. 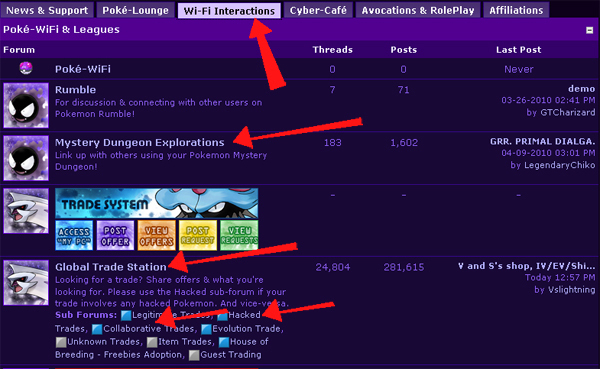 If you are trying to reach a certain section, such as the "Global Trade Station", click on the tab "Wi-Fi Interactions", then click on the forum names as the arrow indicates or any of the subsections such as "Legitimate Trades", "Hacked Trades", and "Collaborative Trades". 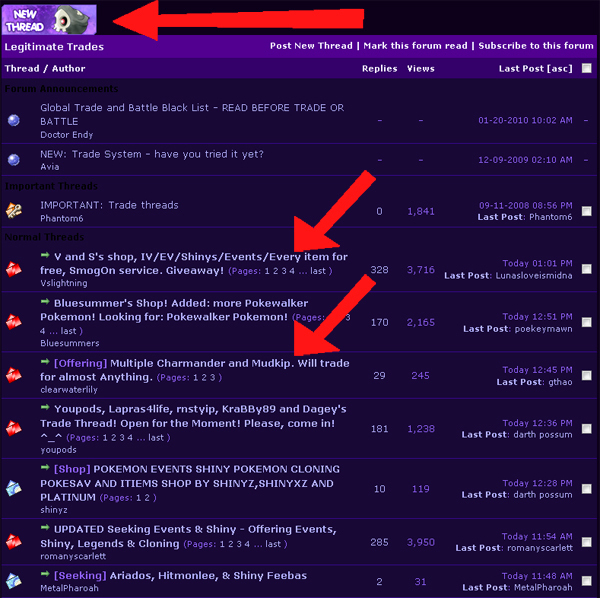 These subforums are housed under the main Category Forum, "Global Trade Station", so if you enter that section first, you will find a forum description for each Trade section. Each thread will display a "New Reply" button for making a reply to anyone that has posted.